The basis of understanding your DNA test results is much like understanding English; you must know the slang or lingo. For example, we use DNA as shorthand for deoxyribonucleic acid. This is because we are lazy and don't want to write a long word when an acronym will suffice. Without getting too complicated, other common terms include locus, (loci plural) nucleotide, allele, short tandem repeat, haplogroup, single nucleotide polymorphism and haplotype or sub clade.. These terms seem complicated but are easily understood with a little study. Locus is simply a particular position, point or place. Each locus is given a position we see as a DYS followed by a number in test results. For example, DYS393 is normally the first locus on test results. DYS is shorthand for DNA - Y chromosome - segment. Nucleotide is the basic building block of nucleic acids such as RNA and DNA. Allele is simply a fancy word for "repeat" and the number of short tandem repeats contained in a particular nucleotide or segment is reported. See example chart below. I use the first panel of 12 as example as it is the most important in determining Haplogroup. A haplogroup forms over many generations and may predate the 24 generation emergence of surnames. Haplogroups are noted by letter such A, E, or R just to name a few. Using DYS393 as example, the repeat motif is AGAT and is repeated 12 times in the example above. Each locus has a standard repeat motif and the number of repeats is recorded on the chart. You can be in the same haplogroup as someone but not share a common ancestor in 24 generations. Three of the first twelve Alleles are "fast changers." Fast changers are usually noted by a red highlight such as DYS385a and b and DYS439. These will give you your first clue for ancestors in the 24 generation emergence of surnames or your haplotype. If you match someone 12 out of 12 you are probably related in this time frame. If you match 11 of 12 you are possibly related. If you match 10 of 12 or lower you are probably not related in the time frame. This is a lot of information contained in just the first 12 markers. This is another term you will become familiar with. Since most of our participants are in the R1b family we all share the definitive alleles that mark mutation M269. This means we all shared a common ancestor in the past 30,000 years or so. It does not tell us who our surname relative group may be. We got our first clue in the first twelve alleles; more markers are required to obtain sub clade. This is why I recommend 37 markers as the base unit of testing. 67 markers are required for participants in the Western Atlantic Modal Haplotype to eliminate many false positive matches. We are now seeking others that share common mutations known as haplotype. A haplotype is a set of DNA polymorphisms that tend to be inherited together. A haplotype can refer to a combination of alleles or to a set of single nucleotide polymorphisms (SNPs) found on the same chromosome. Comparison of sequence to other participants in family surname projects is a good way to start to determine sub clade. Notice of similar groups of alleles and in some cases a single allele match can determine haplotype. Though many matches can be confirmed through sequence comparisons, this is not always the case and further testing may be required to "zero in" your exact family sub clade. 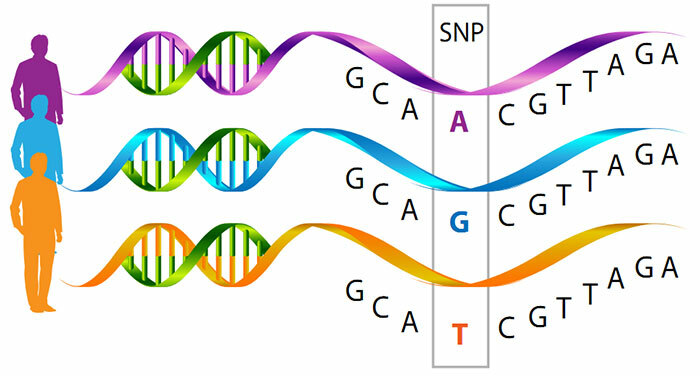 Sequence comparison is your best bet to determine possibilities for SNP tests to confirm you are in a particular group and eliminate costly trial and error by ordering all available SNP tests for your sequence. Sub Clades are confirmed by testing single nucleotide polymorphisms. For example, our groups B and C once shared a common ancestor as both groups test positive for the single nucleotide polymorphism known as U106. The two groups are not related in the 24 generation emergence of surnames as they only match on six of the first twelve markers. Since the common ancestor further mutations occurred and group C tested positive as low as R - Z301 while group B tested positive as low as R - Z31. Both groups share the Forrest surname and are considered genetically not related. The SNP testing allowed each group to "zero in" or focus on other participants in their respective haplotypes or subclades. This short definition of terms is not all inclusive, but it should give you some basic knowledge allowing you to enjoy your experience of DNA test results. It should allow you to make more competent decisions regarding whether to upgrade to higher number of markers or to test SNP's. With new SNP's being discovered each year, it may be necessary from time to time to order tests to further "zero in" on your particular haplotype. Knowing how to compare sequences will arm you in future decisions. Genetic DNA testing is still in its infancy. Knowledge is building rapidly. I have devoted several years to DNA study and try to keep up with discoveries as they emerge. I am always available to assist you in your journey.